Review: Sculpture Technique Construct from ARTistic Pursuits Inc.
One of the many things that I LOVE about homeschooling is that we get to make time, lots of time, to study the things that make life richer. Art is certainly one of those things. Boy does my crew enjoy rolling up their sleeves to get a little messy and CREATE something new! Recently we were given just that opportunity when we received Sculpture Technique Construct from ARTistic Pursuits Inc. for review. ARTistic Pursuits Inc. has made art easy for just about anyone to teach or learn the basic building blocks and techniques is just about all areas of the artistic world. They offer curriculum for every age from preschool through high school so there is something for every child. Through the use of obsveration, artistic expression, techinque, and form every lesson comes together easily with understanding and meaning. Children are encouraged to enjoy the process of creating as they grow and develop. Sculpture Technique Construct is meant for children ages 11 through 18. However, by varying expectations and with a little extra guidance I have been successfully using it with my children who are ages 5-10. This books dives into the three-dimensional world. With the projects presented here we have the tools we need to create deliciously messy, yet inspiring 3-D art. With papermaking, paper mache, cardboard, wire, and so much more the children learn how to use often every day materials to create whatever their imaginations desire. As each unit begins the student (and teacher in my case) we are introduced to the art medium we will be studying. We are given plenty of photographic examples of art created with the medium. We see both traditional and abstract art to draw inspiration from. The projects within the unit start out on the easier side and build up to more to the more complex. The book is full of step-by-step instructions and detailed illustrations, complete with plenty of tips and tidbits for success. At the end of the unit students are encouraged to do a little reflecting on their projects and take a critical look at what they’ve created. Materials required are clearly laid out with directions for how to use tools and safety precautions. The writing of the book is directed straight to the student. I generally chose to read ahead to make sure all of the materials we needed were on hand and to get an idea of where we were headed and what it involved. Then during the lesson I read aloud to my kiddos straight from the book. The loved the pictures of course. The visuals REALLY helped us understand what we were trying to accomplish. My family generally stayed in the first unit with paper-making. We made paper I am not sure how many times. And then we made mountains of sculptures with our homemade paper. They enjoyed is so much and the process got easier each time that I didn’t want to push them ahead. We are very much a family that likes to master one thing before we try the next. With each attempt they became more creative. Eventually though they saw me flipping ahead in the book they became eager to try something new. We LOVE ARTistic Pursuits Inc.. We’ve been blessed to review or otherwise buy a few different levels and they never disappoint. Sculpture Technique Construct is just as top notch as any of the others and are getting tremendous use out it, learning and creating so much! Click to read my review of Elementary 4-5, Book 1. 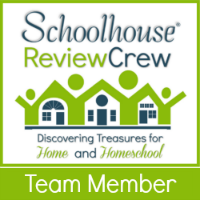 I get to share with you today a new review of one of my favorite curriculums. I’ve had the priviledge to review ARTistic Pursuits art curriculums before and if you’d like to read those reviews please click HERE. This time I was given Elementary 4-5, Book 1: The Elements of Art and Composition. If it isn’t clear in the title this is a book geared toward the upper elementary age, about grades 4-5. I used it with my Noah who is in 4th grade, but his younger brother Ezra who is of 2nd grade age gave it try too. ARTistic Pursuits has a whole line of art curriculums for preschoolers through high schoolers. You can see the full ARTistic Pursuits Book List at this link. ARTistic Pursuits is a company that strives to make art accessible and understandable to anyone. Children can feel successful and gain a deep understanding of an unbelievable number of artistic concepts just by moving through all of these books. Children explore the world as they see it not just how they THINK they should be seeing it. The entire experience is more about the process and seeing than it is about creating the perfect product. Does anyone have a child who strives for perfection but may not have quite the skills to achieve it. This program is for them. Elementary 4-5, Book 1: The Elements of Art and Composition is a book designed to help children begin to create realistic and lifelike drawings. Principles such as space, shadows, shading, balance, light sources, and texture are all covered in this book. While completing these projects my children began to really see the details of what they drew, the highlights and shadows, the light source, how to use their drawing pencils to create texture, how to plan their drawings so they make sense on the paper. They started to notice shape and contrast too. The beginning of the book lays out the topics to be studied and how each lesson functions. Everything is laid out in an easy to follow format. While working through the book in order can be helpful as you can use skills acquired early on to enhance later projects… it isn’t necessary. Sometimes it is fun to skip around just to try new mediums of art. Preparation is pretty limited. There is a materials list that you can use to purchase supplies commonly find in any craft or arts supply store. Of course you can make life even easier on yourself by purchasing the Grade 4-5 Art Pack on the ARTistic Pursuits website. Once you have those on hand the book is pretty open and go. As every homeschool mom is busy and while I absolutely value arts education it does tend to me the one thing that I plan last after all else is covered. With this book I can randomly decide on days that we need to change direction or when we find ourselves with extra time on our hands (it does happen) to pull this off the shelf and just go with it. ARTistic Pursuits recommends you complete about a lesson a week. We often completed two during this review time. One lesson takes us just 20-30 minutes of reading through the learning the material. How long they spent on their projects varied depending on how much the got into them. I liked leaving the time open for them to take as long as they liked. Each lesson is broken into three parts and we always completed them in one sitting. Part one is a discussion of what artists actually do. Part two brings in the art appreciation. This book focuses on American Art History. I have a couple of huge American History fans in my house so they were just enthralled with art here. The last part where the project comes in. This is where the children apply what they’ve learned to their work. Lessons are taught using famous works of art and real-world examples of the concept being taught. I think the most helpful aspect are the examples done by children. They help my children get a good handle on the expectations and we avoid some heartache over an inability to be PERFECT. Overall this was another really positive experience with ARTistic Pursuits. My boys CHEER when Mommy pulls these books out. They area always asking me when we can make time for another lesson. We will keep working through this program throughout the summer. In my family we are passionate about art! I have always been drawn to all things creative and I feel it important to pass that love on to my children. My oldest son Noah seems to be most interested. We were thrilled with a recent opportunity to review Early Elementary K-3, Book 3: Modern Painting and Sculpture by ARTistic Pursuits. Book 3 is suited for children ages 5 and up in Kindergarten through 3rd grade. The curriculum book costs $47.95, all required supplies (paper, paints etc.) are extra. ARTistic Pursuits is a curriculum designed for teaching art at home and it is just perfect for homeschoolers. It covers artistic techniques of all sorts as well as art history. 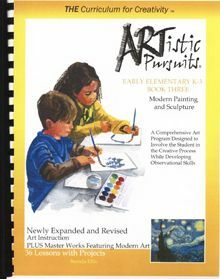 Early Elementary K-3, Book 3: Modern Painting and Sculpture contains 36 lessons and projects. Covering just a lesson per week will give you an entire year’s worth of art for your homeschool. Each lesson is contains information about art history, famous artists, and a study of some well known paintings. The lessons are brief which make them well suited for youngsters who are itching to get their hands on materials and not necessarily sit for a long lesson. They are designed for the parent/teacher to read the content aloud to the children. I love how clear the illustrations and directions for each project are. The student gallery photos are particularly helpful as these images help my children feel less intimated about their own skills. The artist pages give a lot of great information about the artist and opportunities for us to study their work. Our book explained topics like Realism, Expressionism, Mondrian’s Squares, and Abstract Art in simple and easy to understand language. Artists hey discuss too include Monet, Renoir, Pissarro, Gauguin, Van Gogh, and O’Keefe. Our family stuck to the once a week schedule. My Noah(8) was always thrilled with the opportunity to dig out his paints and materials. Ezra(6) also enjoyed it a great deal! I do think he views his older brother as more creative and artistic than he is, so while he was enthusiastic he did express some frustration at times. It may be easy to become intimidated by the very long list of art supplies you need to complete the curriculum. However, not everything needs to be purchased all at once. The first five lessons require only gouache paints, watercolor paper, and some brushes. With a little forethought it’d be easy to buy what you need from a local art store as you needed it. Each lesson and project is very clear and simple to teach. You won’t need to spend any time ahead of your school day preparing. A simple skim of the text might be more than enough. My children and I REALLY enjoy this curriculum. They have learned a great deal, as have I, about artists and art techniques. Exploring with the materials is a real treat and a fun break from our usual pace of activities. Art is something that is so easy to leave off of your curriculum plans. 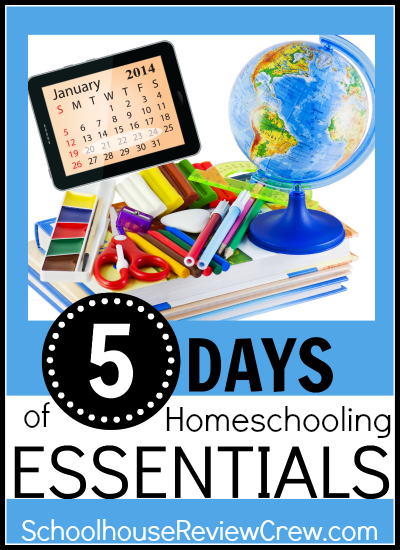 It can be that thing that you truly intend to do and even plan for but then let go in the chaos of a busy homeschool family life. I know I’ve done it too many times to count. With a curriculum like Artistic Pursuits on hand it is incredibly easy to just pull it from the shelf and get a lesson or two done on those rare days when things slow down… a rainy day, an unexpected cancelled activity, etc. The program is well thought out and intuitive. Great for young elementary school children and moms who don’t feel creative or like they have the time to plan big projects. You can’t go wrong! My Noah (7) adores art! Ezra very much enjoys it too! As you probably know I do try to incorporate Biblical knowledge into anything we do. So when I was given the opportunity to review a Biblically based video art learning experience called Shipwrecked by See the Light I literally leaped! Before being accepted for the review Noah and I sat together and reviewed each of the possible programs that might be made available to us. He chose Shipwrecked, which is the story of Paul’s shipwreck during his trip to Rome as a prisoner. The creatively artist teacher’s own artwork to magically portray the story from the Bible. It then uses three key themes found in the story and integrates them into the art lessons that teach not Biblical truths, but art techniques such as chalk art, creative lettering, and mixed media drawing. The DVD sells on the See the Light site for $14.99 and is recommended for ages 6 and up. My five year old Ezra was able to easily follow along and delighted in the experience as much as his big brother. He was very successful with his art creations. Even Joyanna, my just barely turned 3 year old enjoyed the story part of the lessons and getting her hands messy in all of the wonderful art supplies. There is a list of required materials on their website. Most of the items we had here or home or we were able to pick up locally. The only thing I couldn’t find were the fluorescent pastels. I determined that these were absolutely essential to the experience and ordered them directly from See the Light! It was fascinating for my children to watch as the artist teacher put chalk to paper. Such skilled teacher’s were chosen for this series that it was almost like magic as the images came to life on the paper. Their explanations on technique were clear and easily followed. Then it was my children’s turn to apply the same techniques. I marveled at how closely the watched the teacher on the screen. My boys would pause and rewind and rewatch their every move and then attempt the same technique on their own paper. 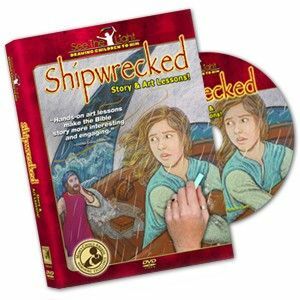 Each DVD contains three lessons in addition to the video of the Bible story. All of the lessons are demonstrated by a teacher. We experiences creative lettering, chalk art, and mixed media drawing. The fun and magical part comes near the end of each lesson when your student uses a black light (purchased separately) for a wonderful surprise unveiling at the end. Over all I can’t recommend this video enough! Neither can my Noah who is 7. I have had him in a couple of different art classes at a couple of different venues taught my artists in person. I asked him how this compared. Noah said “Mommy, this is WAY better! I learned so much more with this than I did before!” Needless to say, I’m going to go ahead and purchase more videos. One of the best advantages to these lessons was that it taught my boys how to use art supplies in new ways or how to combine materials in a way they hadn’t ever thought of. For example, in the water color lesson we learned how to blend our paints and rock the paper around to create a really great looking sky. Since that lesson we’ve had LOTS of water color painted skies in all of our art work. I think they ONLY thing I will do differently going forward is to invest in an additional set of art supplies, enough for each child. Both boys had to spend quite a bit of time waiting on each other and negotiating for supplies. While it’ll be quite a bit more expensive, it will save us on time and frustration. So there you have it! Shipwrecked by See the Light was definitely a positive experience for our family!